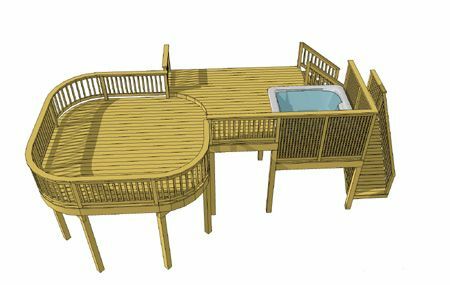 This deck design creatively combines several unique deck features to satisfy a variety of uses in a relatively small space. A T shaped deck attached to the house provides a central traffic access to all of the deck areas. 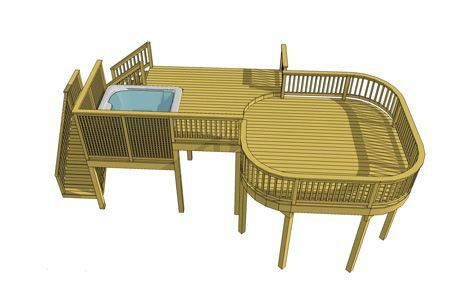 The primary entertaining area is a 14' x 14' deck with curved corners that is positioned one step below and away from the house. A recessed hot tub sits opposite allowing a level of separtaion and privacy. 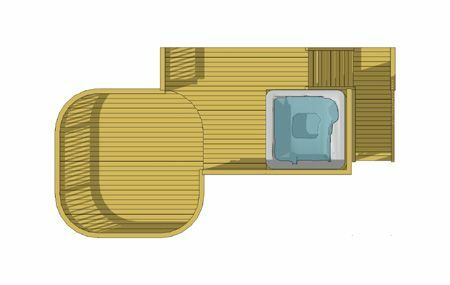 The stairs begin between the hot tub and house but rotate 90 degrees to wrap around the base of the hot tub platform.